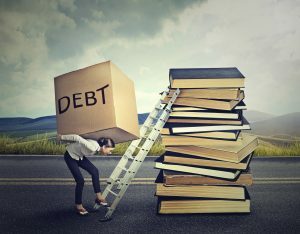 Dealing with several debts with high interest rates at once can be stressful and seems never-ending. Once you pay off one debt, there are seemingly three more to take its place. Cyprus Credit Union can help you consolidate these debts into one low monthly payment using a personal loan with a low interest rate. If you own a home, a home equity line of credit is another viable option. You can borrow against the equity in your home at a much lower rate than your credit card company. The interest on a home equity line of credit is also tax deductible. You can also check out the SavvyMoney tool, which is free for our members. Fill out your information in the secure forms and receive a thorough analysis of your financial situation, including tips by leading financial experts to help you control your debt, build a budget, and start living the life you want to live. If you have any questions or would like more information, you can contact our Lending Center, which is available 24 hours a day, 7 days a week, at (801) 260-7600 (option 4); stop by one of our branch locations; or check out our website.